The Oscars are Sunday… I’m Live Tweeting! The Oscars are my Super Bowl. Which means I’ll be glued to my TV screen on Sunday. First, to see all the dresses, celebrity air kisses, Ryan Seacrest puns and mani-cam bird flips on E! and then, of course, to see the big show itself. What I’m most excited about? Ellen, obvs, and Idina Menzel singing “Let It Go.” (I still haven’t seen the movie but it’s just a matter of time before I’m on the train, big time. Also, I love everything Idina.) And whatever Lupita Nyong’o wears. My Oscar viewing experience usually involves texting my mom and some friends with outraged comments about so-and-so’s dress or what’s-his-face’s awkward/hilarious/tearjerker speech. But this time instead of texting, I’ll be tweeting! If Jennifer Lawrence is self-deprecating, or Anne Hathaway riles her haters, or Matthew McConaughey says “all right, all right, all right”—all guarantees, really—I’ll be there with 140 characters on the subject. I hope you’ll all follow along and let me know what you’re thinking of the show, too. I’m @rberch. Can’t wait for our viewing party! Oh, and that pic above? 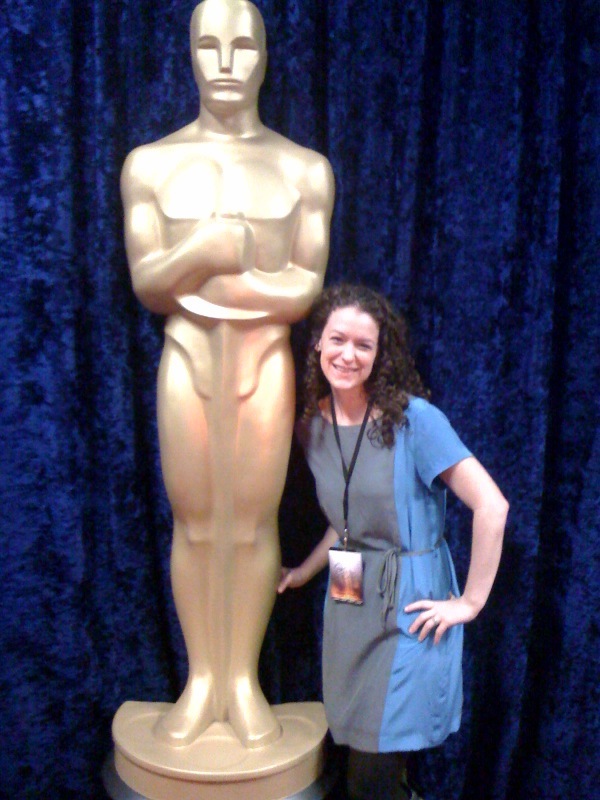 That’s me at the Kodak Theatre in 2010, the morning after the ceremony. Definite life highlight. Will you be tuning in? Have any Oscar watching rituals?